Nearly half of brands report losing revenue to counterfeit or pirated goods. Many brands report that online protection is undervalued at their organization. While it is widely believed that online protection will become increasingly difficult in the next few years, only 64% of companies report having a strategy in place. 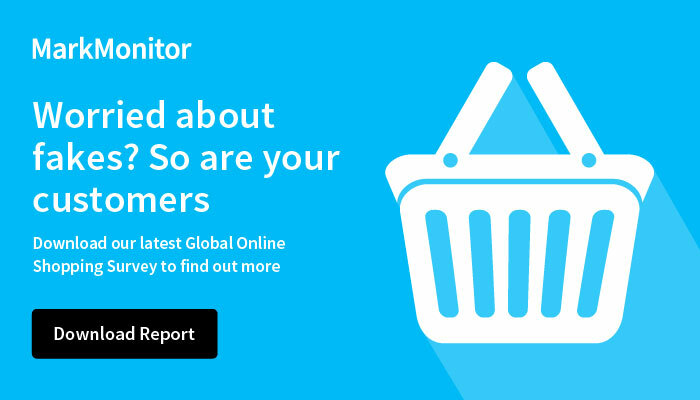 In Global Business Survey 2018 – Brand Protection Challenges, MarkMonitor explores the perceptions and challenges inherent in online protection programs and reveals the consequences of not having a strategy in place. Forty-six percent of respondents say that the value of brand protection is underestimated in their organization. Strategies that are in place aim far and wide, covering websites, social media, ecommerce and more. The escalation in abuse is hard to ignore: more than one-fifth of respondents will invest most of their brand protection budget into new technology. Infringement impacts a brand's bottom line, with nearly 1 in 3 brands reporting a loss of up to 25 percent in sales.